I know it is not even Halloween yet, but do you know what is fast approaching? Hand Print Season!!! I love hand print season and I don't care that my son is 10 years old and probably won't want to do it this year, we are totally doing it! I never get tired of them!!! 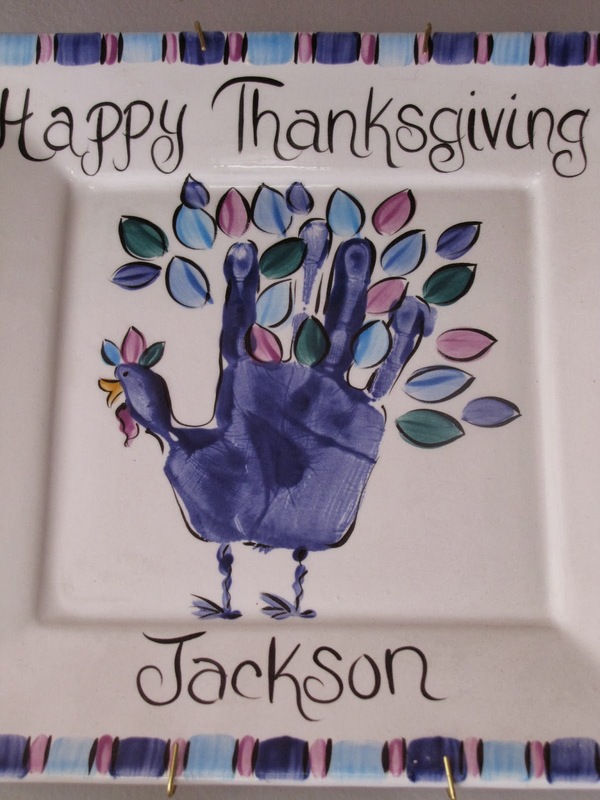 I mean seriously, look at that cute turkey hand print! My son painted the hand print and I did the finishing. I love turning hand prints into things. I must have gone temporarily insane on this one because I didn't do any lettering on the front. This one is from the year my son would only paint things if they were blue. We still refer to it as his blue period, you know, like Picasso! :) But who am I to argue with his artistic vision, so we rocked that blue turkey like it was our job!!! It is still one of my favorites! PS. 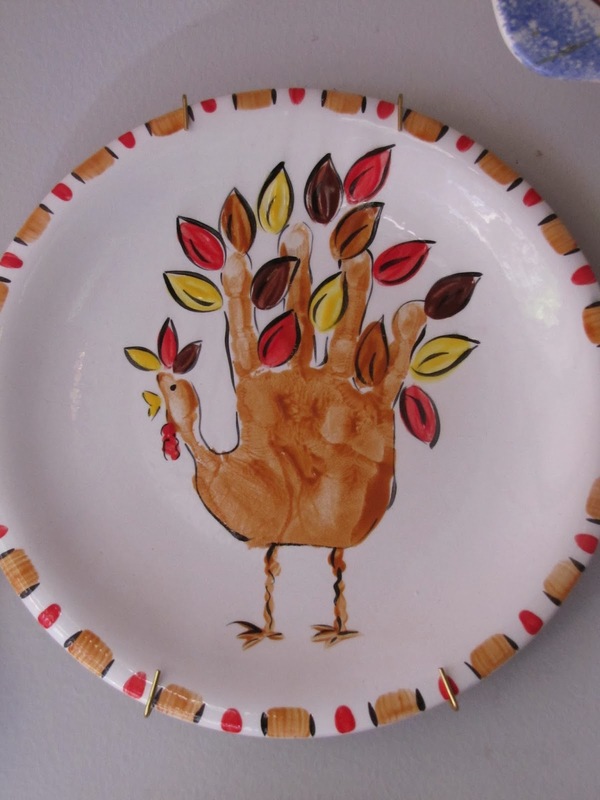 Since I am firing that beast of a kiln up for those LaTasca pitchers anyway, I have room in the kiln to fire hand prints on plates again! I love these! What did you use to paint the hand print on? 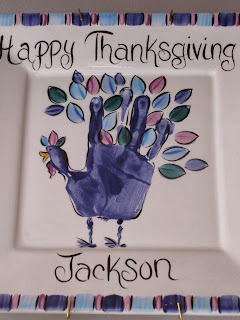 Did you stamp the hand in wet clay and paint over that, or did you use glaze to stamp the little hand print to a bisque plate?